I was recently sent this Aussie conditioner to try out and I'm sharing my thoughts on it today! I'm always on the hunt for a conditioner that'll leave my hair softer for more than a day. I've got this crazy mane of curly/frizzy/dry hair that drives me crazy most of the time. My hair is really dry, and it really only stays soft for the day I wash it, and as most know, washing your hair too often can make it drier in the long run as you're basically getting rid of all those essential oils. Occasionally, if I'm really lucky, it'll still be a tiny bit soft the next day. If I'm really lucky. So, enter the Aussie 3 Minute Miracle Reconstructor Deep Conditioner. The way this works is you leave it on your hair for around 3 minutes, and then rinse. Simple as that. What I do love about this conditioner is the smell. It. Is. Gorgeous. I've tried the Aussie frizz shampoo & conditioner before, but could not stand the smell, and to be honest it put me off their products for a while. But this? Love the scent! Just one other thing worth noting: don't drop it. It slipped out of my hand at one point, and now the cap is broken. Don't be clumsy like me! During the month of November, Aussie are donating 15 cents from the sale of every product sold in Tesco to the Movember charity. There's still a couple of days left, so if you were thinking of buying some Aussie goodies, now is the time to do it! The Aussie 3 Minute Miracle Reconstructor Deep Conditioner retails at €6.69, but prices will depend on where you get it. My Etude House box has finally arrived! I was expecting great things from this box, but to be honest I don't think it's as great as the Tonymoly box. Let's have a look and see what I got, shall we? Memebox says: "Ever heard of a top coat for your lashes? Create translucent and glossy lashes by applying it alone, or give a non-smudging and long-lasting finish to your regular eye makeup by applying it over mascara." A top coat for your lashes? I can't be the only one that finds this a little weird right? I've only played around with this the one time the other day, but I have to say, so far I am kind of impressed. I wouldn't say my lashes are glossy or anything, but there is a very subtle difference when you apply this over regular mascara. More testing needed, I think! Memebox says: "Specially formulated with marine collagen and mucilage from baobab trees, the famous Moistfull Collagen Cream is a gentle, deeply moisturising, and skin firming facial cream. It's fast absorbing and lightweight in texture as well, making it a suitable moisturiser for both the summer and winter times." I am so glad they included this in the box, I just ran out of mine and was going to re-purchase! I've a full review on this here if you want to check it out. 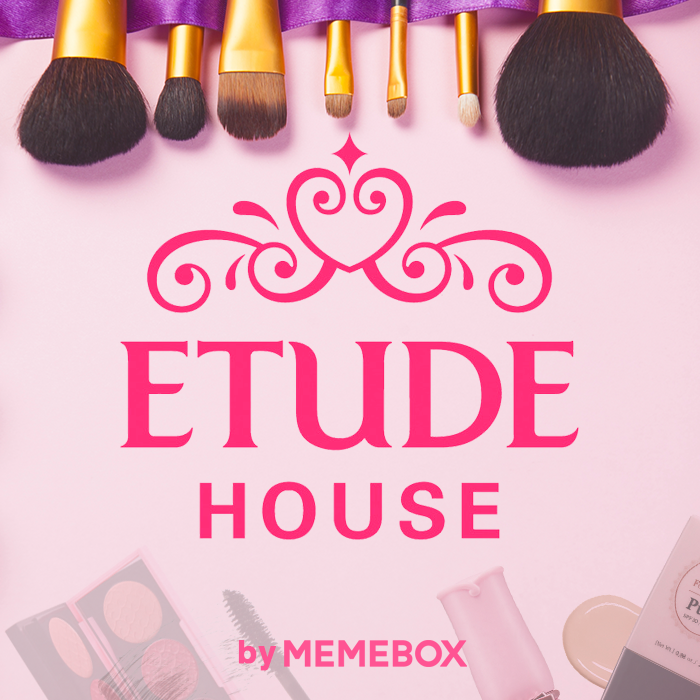 Memebox says: "Etude's special formula 'Nutrition Compact' - a blend of pomegranate, mango seed butter, and evening primrose - combined together with rich collagen complex work to deeply nurish and tighten dry, sagging skin overnight, for a mochi-firm and radiant complexion the next morning." Another product I was thinking of buying recently, so I'm very happy to see it included! I've been trying this out for the last few nights, my skin feels so soft in the morning! Memebox says: "Get ready in the morning with a spritz of Belle Dress cologne which comes in a fruity perfume complex - a blend of fruity sweetness, jasmine floral, refreshing green note, and warm musk scents. Its blend of hyaluronic acid, natural spring water, and the lovely perfume fragrance will give a refreshingly moist and sweetly scented start to your day." I have mixed feelings about this one. It's smells great and all (reminds me of those roll-on body glitters that The Body Shop used to sell), but I would have liked to see a lipstick included instead of this. Also, the packaging seems very childish to me. Memebox says: "A makeup boosting fixer for cooling, refreshing, and moisturising the skin while locking in makeup in place for a long lasting, silky finish. It also helps soothe and relieve reddened or irritated skin with its aloe vera infused formula." I was thinking of getting this over the summer, so again I am happy to see this in the box! I have yet to try it out, so I can't say anything about it just yet. Memebox says: "A mascara for your brows! Non-smudging, long-lasting and containing allantoin, beeswax, and camauba wax components rich in nutrition, this Brow Mascara from Etude House offers naturally defined and youthful arches with just a quick smudge." This one was a huge disappointment. I personally don't think things like this should be included, as they don't suit everyone. My eyebrows are black, so obviously this is not going to work for me, so I won't be touching this one at all. Overall, this box is nice, but it could be a lot better. I wish they had included some newer Etude House products, like those adorable castle hand creams that launched about a month ago, or even some lipsticks or tints. The brow mascara was disappointing, I wish they had said they were including it and given the option of choosing what colour of the three available shades you wanted. The body spray was ok, but I would have preferred to see a lipstick or tint in it's place. I hope the next Etude House box is more impressive! My Tonymoly box arrived last week, so I thought I'd quickly share what I got. Out of the three Memeboxes I've gotten so far, this one is by far my favourite. I wonder if my Etude House box will beat it! Memebox says: "Sweet and vivid under the daylight, Tonymoly's Delight Tint Crayon Neon goes wild under UV lights with its electric neon colours! It melts onto lips like a lip balm with a long-lasting radiance and is easy to use with its auto type packaging." 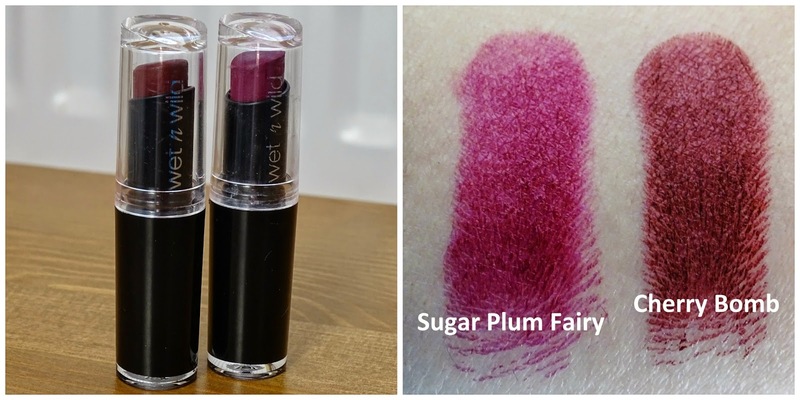 I thought the colour would be a lot stronger, but it's actually more like a tinted lip balm than anything. I do like the colour though, and I'm glad it's not a bright red because I do have a good few red lipsticks already. I haven't been exposed to any UV light recently, so I have no idea what it'll look like under that! There's a slight smell to this, it reminds me of cherry Blow Pops! Memebox says: "A 5 in 1 Egg Soap that works to deliver moisture, nutrition, deep cleansing effect, sebum control, and pore care. 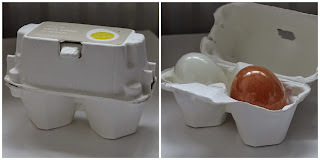 It's made from fertile eggs soaked in vinegar for 1-2 weeks, a process that maximises the level of calcium, protein, vitamin, amino acid, and various minerals found in eggs." When I read that it was made of eggs, I thought that this was going to smell kinda nasty.I can't quite place the scent but thankfully it smells really nice! Memebox says: "A best-selling gel liner that comes with a brush of its own and boosts its super water proof and long-lasting formula. The eyeliner glides on smoothly and precisely, then quickly dries down to a long wearing, water resistant finish." I've heard great things about this line of gel liners, I'm excited to try it out for myself! Memebox says: "Tonymoly's Luminous Goddess Aura Beam is a luminous gel type cream that adds supple, healthy glow to the skin, and minimises the look of skin imperfections. Mixed with your favourite BB cream or used alone, this miracle product will help you achieve that infamous gorgeous Korean skin glow!" I hate the packaging of this product. The gel is kind of thick and you have to squeeze the tube really hard to get even a tiny amount of product out. Memebox says: "This adorable mini-sized lip balm comes in the size of a large coin and is scented with a lovely fruity peach fragrance that lingers on your lips long after application. Its peach and shea butter formula is also extremely nourishing and leaves lips moist and supple." I'm actually surprised by how good this lip balm is! I was expecting it to be kind of meh to be honest, but I actually like it more than my Carmex (I never thought I'd say that!). It's really hydrating, doesn't feel too greasy on the lips, and it smells absolutely gorgeous. Memebox says: "A skin brightening and perfecting cream that locks in moisture and brightens dull complexions. This super moisturising cream will bring vitality back to skin while evening out the skin tone. Skin will feel soft and smooth after each application without the greasiness. The adorable panda packaging and the light fruity scent is an added bonus." 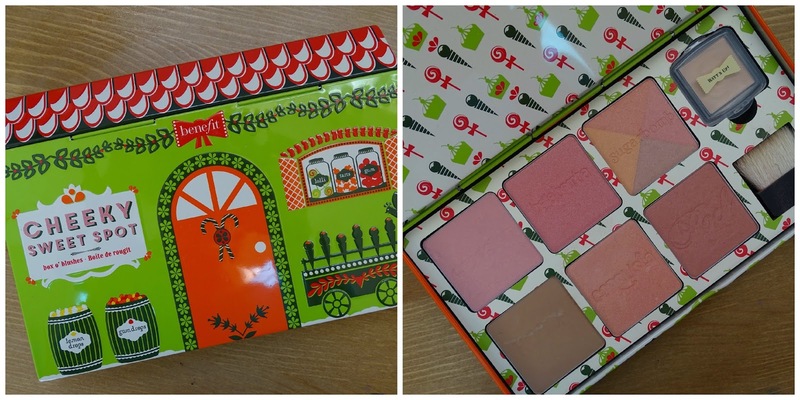 This one is all about the packaging! It is seriously the most adorable beauty product I own! The cream itself you need to be careful with. It's quite thick and if you apply too much, it leaves your face looking very white. Use sparingly is my advice! Memebox says: "This is a multi-cream enriched with green apple extracts, AHA, and papaya extracts and which works as a massaging, moisturising, and peeling cream all in one. Green apple extracts rich in Vitamin A, Vitamin B1, Vitamin C, and pectinic acid are effective agents as skin exfoliators and revitalisers." Again, all about the packaging here! So cute! This one smells just like green apples, as you would expect, and is heavenly! You're meant to apply this evenly all over the face, and then peel it off after 20-30 seconds. But when I put it on, I didn't really find any way to peel it. All in all, this is a great box! I love how adorable everything is, and all the products smell absolutely amazing! 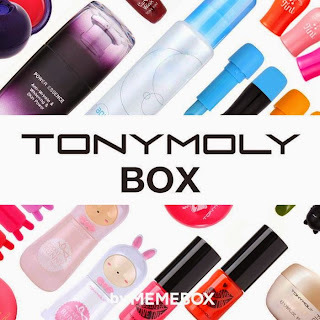 I hope Memebox release another Tonymoly box sometime in the near future, I'll be first in line to get it! Hey everyone! I've another Max Factor product to share with you today, the Skin Luminizer Foundation! Max Factor say that this foundation contains subtle skin luminizers, that give your skin a beautiful, healthy glow, and aims to give you medium coverage. I don't tend to wear foundation often, as I find that most tend to cling to my drier patches if I'm not extremely careful. I was pleasantly surprised by Max Factor's offering! I really love this foundation. It didn't cling to my dry patches at all, looked flawless on my skin (I used a beauty blender to apply it), and it gave that subtle glow that it promised. The shade (Bronze) is a tiny bit too dark for me, but it still looks really nice. I found that about half a pump is enough for a light coverage, and a full pump gives the medium coverage. It felt so lightweight on my face, which I loved. The pump is also so handy, and I like that the bottle is nice and sturdy, it's very practical, especially for me since I'm always knocking stuff off my desk! I will be buying this in a shade lighter on my next trip to Boots, I really love it so! It's €15.99, and if you have a student travel card you get 10% off too (just a remainder because I always forget!). I was sent some Max Factor goodies to review recently, and today I've got swatches and reviews of their Gel Lacquers! The colours of all of these polishes are so gorgeous, and they're all super glossy too! I didn't use a topcoat in any of the pictures below. Vivid Vermillion: This is a very pretty bright orange-red colour. I used two coats here, you could get away with just using one really, but out of habit I did two coats. It has a nice formula, it's not streaky at all when you apply it. It's also so glossy! Patent Poppy: Lovely, glossy red. Again, I used two coats, but really you only need one. The formula is nice too, no streakiness here either! Twinkling Pink: This one is a really bright pink, my camera refused to capture the brightness though! The photo doesn't do it justice really. I used just one coat here, I couldn't justify using a second when there was clearly no need. Again, really nice formula, it's not too thick or too thin! Lacquered Violet: This one is a bit more purple than in the photo, and a bit darker. It kept coming out really blue on camera. This one had a slightly tricky formula, it needed two coats as the first was quite uneven and streaky. The colour in the end is really pretty though, and its a shame it wouldn't quite come through on camera! Glazed Cobalt: I used just one coat of this. My camera and computer really hated this one! It's a lot less bright in reality, and has a slight purple tone to it. I tried fixing up the photo to look more like the actual colour, but every time I added any photo of this swatch onto the blog, the blue turned out so bright. So annoying! Gleaming Teal: This one requires a lot of patience. The formula is on the thinner side, and you have to be very careful with how much you put on the brush as it can either end up being a very thick coat or a very streaky one. You definitely need two coats of this to get it even. The end result is worth it though, the colour is beautiful! Radiant Ruby: Another one coater! It's a bit darker than in the photo. The colour is absolutely gorgeous, and is definitely one of my favourites in the collection. Great formula, beautiful finish, stunning colour, what's not to love? 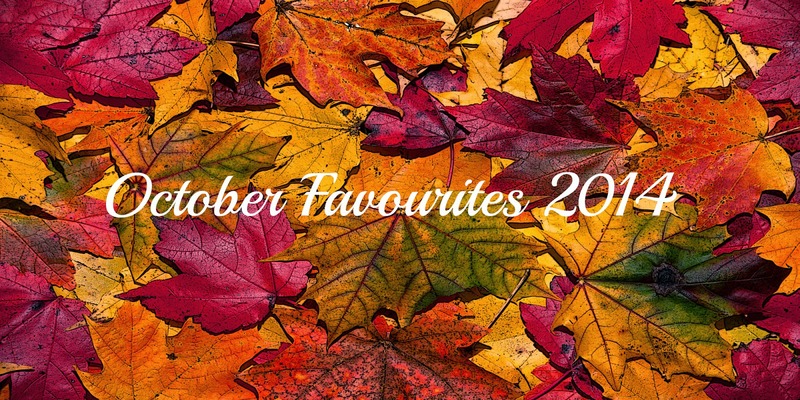 Maybe I'm biased because it's red, and I seem to be loving all things red in recent months! Sparkling Berry: This one has a tiny bit more red in it than the picture shows. As with all the others, great colour and shine, and the formula is wonderful! I used one coat here. Sheen Merlot: I used one coat here, but I think it could have done with a second one just to make it a bit stronger. As with all the others, it has a lovely glossy finish, and the formula is really nice too. Overall, I really love this collection! The colours are all gorgeous, and the shine on them is amazing! Most have great formulas and are opaque on the first coat, with the exception of Lacquered Violet and Gleaming Teal. Radiant Ruby and Sparkling Berry were definitely my favourites here, I just adored the shades! You can get these in Boots stores nationwide. They're €10.49 a bottle, which I personally think is pretty pricey for a nail polish, so if you are going to buy some, I'd suggest waiting until there's a 3 for 2 offer on (there's one on now actually) and if you have a student discount, use that too! The Rimmel Provocalips launched early around October. I got it a few weeks ago in the shade Make Your Move, as a reward for not buying something else (sad, I know! ), and have really been loving it! Rimmel claims that this gloss lasts 16 hours and promises that it won't transfer. The gloss is double ended, one end has the colour, the other has the balm. The coloured gloss is really pigmented, and the balm is completely transparent. You apply the colour first, wait until its tacky, and then you apply the balm. And you're good to go. I popped this gloss on at around 9:30 one morning. By 4, it started to feel a tiny bit dry, it still looked perfect though. I just put on a little bit more of the clear balm and it was all good. By 7, it had faded just a little bit, but not enough that I needed to even consider re-applying! It still looked great by 10 that night. It felt a bit dry again, but at that point I was ready to drop, I was so exhausted, that I decided to just take it off and call it a night. Taking it off was quite the task, I had to scrub it off using my Lush Sugar Lip Scrub, and even then I couldn't get it off completely! The Rimmel Provocalips really lived up it's claims of being long lasting and transfer proof! I really love this gloss, I'm thinking I might have to pick up a few more colours!